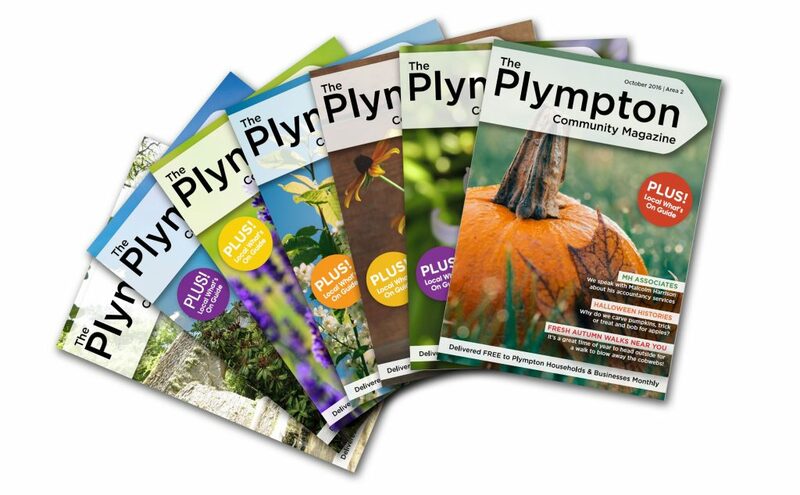 Delivered to over 5,000 homes a month in the PL7 postcode area, Plympton Community Magazine was established in 2009 and contains an assortment of engaging articles covering local news and upcoming events throughout our little corner of the South West. Filled with information that would interest both locals and visitors, each edition of this local lifestyle publication delves into what is available around the area; be it exotic cuisine, shopping experiences, one-off events, and much more. With a readership that spans generations, Plympton Community Magazine is written for everyone and aims to help bring those who live in the area closer together. It’s also our mission to help promote local businesses and encourage the community to support those enterprises that make up our thriving Plymouth suburb. To this end, each issue contains a wide range of promotional material for businesses local to Plympton, all of which have been designed to assist our readers as well as the company’s who have placed them. In doing so, we hope to help continue building the feeling of security and closeness that has made Plympton one of the most desirable areas in Plymouth for both individuals and families to lives. Each month, Plympton Community Magazine is distributed to the homes and businesses of Plympton through their letter boxes. The publication is printed in A5 to ensure that each magazine can be easily fed through post boxes, without the risk of holding letter plates open or ajar. It is part of the Plympton Community Magazine guarantee that all materials are pushed completely through each and every letterbox, both for security purposes and to help keep cool homes cool, and warm homes warm. We think of ourselves as being as much a part of the community as those who read and advertise in our publication, which is why our distributors always respect the wishes of those who request not to receive a copy of Plympton Community Magazine. We also utilise a state-of-the-art GPS tracking system so that we may closely monitor our distribution networks and quickly resolve issues as and when they arise. The cost of advertising within our publication starts for as little as £46! Get in touch by calling 01752 691007, or visit www.plymptonmagazine.co.uk for more information.